The DeKalb County School District, in partnership with the DeKalb County Board of Health’s Communities Putting Prevention to Work program, has adopted a district-wide comprehensive tobacco plan to support implementation of the existing 100 percent tobacco-free school policies. The plan includes the promotion of the Board of Education’s tobacco policy, tobacco-related health observances, and tobacco-related health education curriculum. 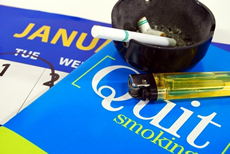 Cessation opportunities are available through the Georgia QUIT LINE for staff, students, and parents. The Georgia QUIT LINE also includes, for qualified DeKalb County residents, nicotine replacement therapy. An alternative to suspension program is available for students using ASPIRE—an online cessation program developed by the MD Anderson Cancer Center.